Axiall Corporation - Southern Earth Sciences, Inc. : Southern Earth Sciences, Inc. This project consists of the construction of a new ethylene cracker facility situated on approximately 230 acres of undeveloped property located south of Interstate 10 (I-10) and west of I-210 near Lake Charles, LA. The facility will be comprised of various types of structures including multi-story process structures, cooling towers, storage tanks, piping racks, offices, miscellaneous warehouse structures, railroad lines, and various paved areas. 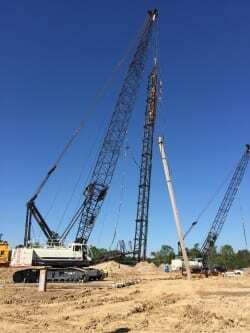 Pile foundations will be used for most multi-story process structures, large storage tanks, etc. Shallow foundations are being considered for lightly loaded miscellaneous pipe racks and office structures. SESI provided subsurface exploration and geotechnical engineering services during the design of the facility. Field investigations included over 60 soil borings and over 80 CPT soundings totaling more than 7,000 linear feet. Engineering evaluations including analysis of various types of deep pile foundations, mat foundations, shallow footings, soil response to dynamic loads, seismic site classification and hazard assessment, heavy duty and heavy hauler concrete and aggregate surfaced pavement design, soil corrosivity and electrical resistivity and soil stabilization options. 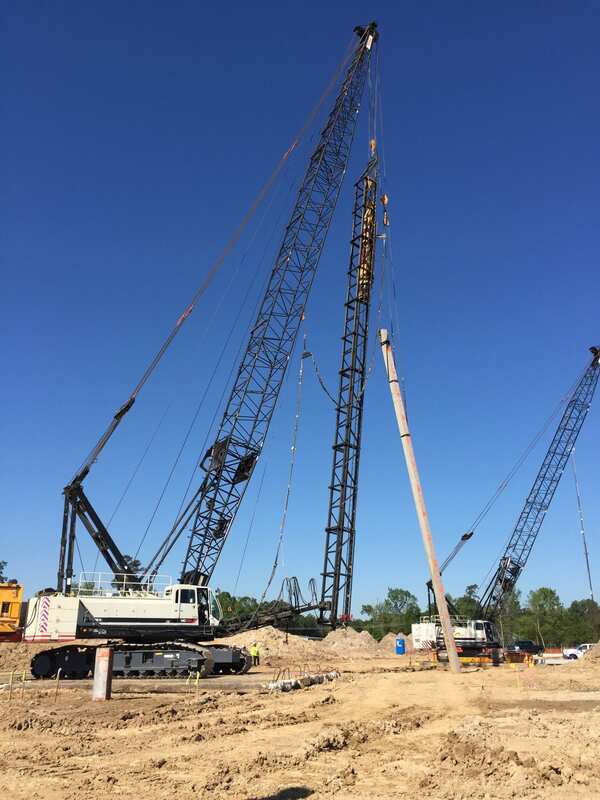 SESI performed all static pile load testing and High Strain Dynamic Pile Testing (PDA) during the test pile program and is currently providing Materials Testing and Inspection services during construction.